Order the corner piece for the boltless system for welder workstations in conjunction with the square base plates and edge pieces. 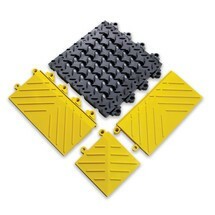 This flexible boltless system with run-on slopes ensures that it is safe and comfortable to walk on the ergonomic mats. 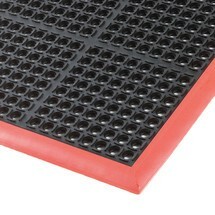 The edge strip for the anti-fatigue mat with starting slope makes it easy to walk on the mat. 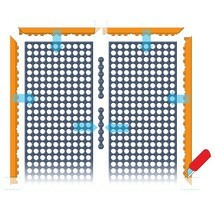 It also minimises the risk of tripping.